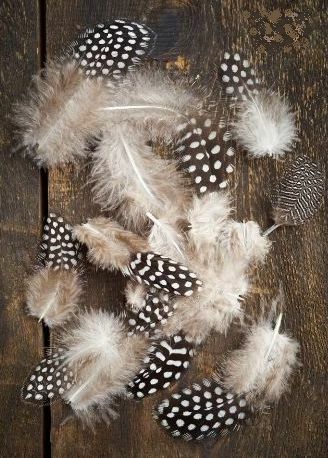 We are selling a pack of 40 Medium feathers that rage in size from 6 - 10cm in size. 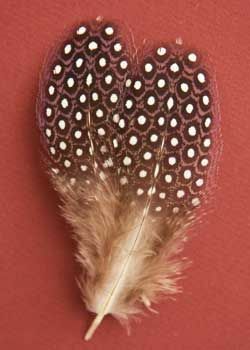 Guinea fowl feathers have been widely used in decorative crafts and jewelry and have the distinctive white spotted circular colour patter on a brown to black feather. 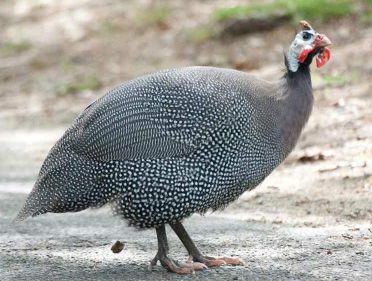 The Guinea fowl is found in abundance in Africa and is favored by locals for their meat, sometimes called pintades or gleanies. 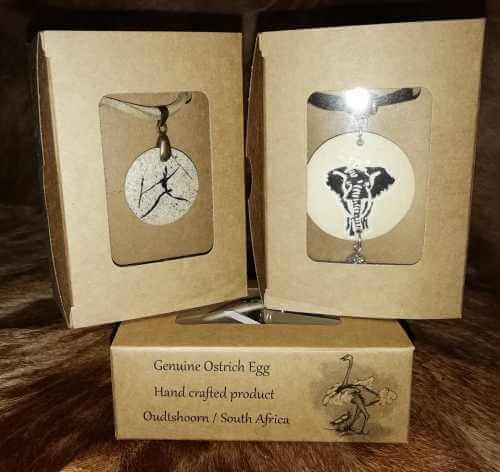 They are a family of birds originating from Africa, related to other game birds such as the pheasants, turkeys and partridges; they have a long history of domestication, mainly involving the helmeted guinea fowl. The guinea fowl is a large wild bird that is natively found inhabiting a variety of habitats across the African continent. 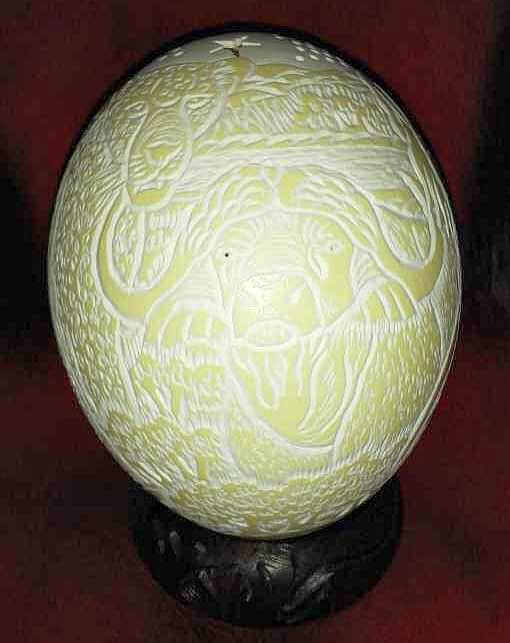 Today, the guinea fowl has been introduced to various countries around the world as it is farmed by humans. The guinea fowl is a ground-nesting bird and spends much of its time scratching around on the ground in search for something to eat. 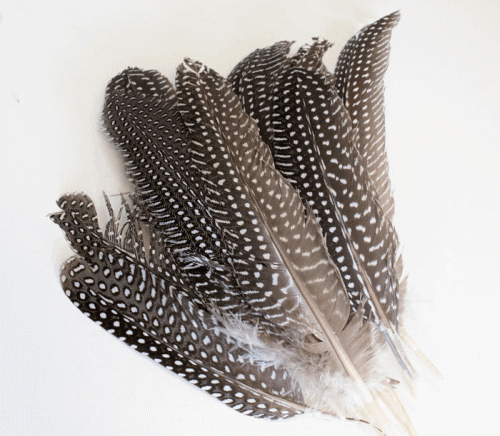 The guinea fowl often has long, dark coloured feathers and a bald neck and head which makes the guinea fowl a very distinctive bird.